The local derby between Monaghan and Oriel took place in Corduff with Oriel hopeful of another final. They have played Monaghan recently winning comfortably but Saturday was anything but comfortable. Oriel began slowly with Paul Duff’s rink struggling as was Niall Hands. 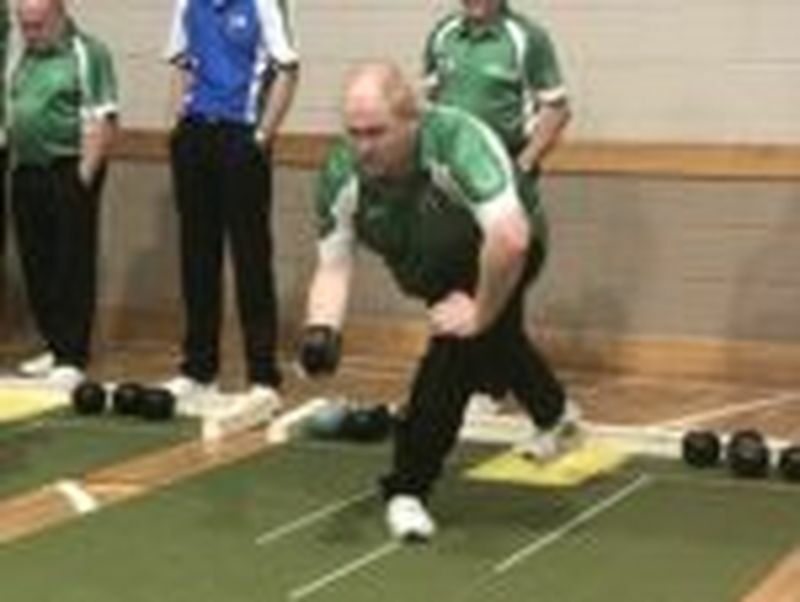 John Murnaghans rink however was playing some superb bowls against Shane Magennis. Niall was not to undone however and fought back to beat Paddy McElvaney by 2. The same couldn’t be said for Paul’s rink who dropped a poor 6 in the middle of the game and lost 11-5 to Colin Deering. The saving grace came on behalf of Johns rink which won 6-12. With all to play for it was anyone’s guess who would come out victorious. Half way through the 2nd half was no different with Oriel holding a narrow 3 shot lead. Stephen McMahons rink was struggling against an inform Malachy Trainor. Gerry McCabes rink was in a ding dong battle with Benny Og Magennis. Paddy Hanlon was playing some wonder shots (including 7shots down to draw shot) to keep with Gerard Moen. The change of the game came when Stephen picked up 4 paddy 2 and Gerry 1 all in one run of ends. Paddy then kicked on to win his game comfortably 12-6. Stephen ran out 10-8 victor and Gerry won by 4 with an end to spare. As they say a wins a win however there were many poor performances by Oriel on the day and a much better performance is needed by Oriel or they will definitely lose their grip on the boomer cup.